Business Park Institute: How to compete with China as a manufacturing site? How to compete with China as a manufacturing site? China is the workshop of the world. Yet. But industrial experts are not sure about the future of China as the #1 manufacturing location: increasing manufacturing costs raise questions. You can build on this trend when promote industrial spaces. Last year I published a presentation on SlideShare (see below). It compares China to Eastern Europe as a manufacturing site. The data involved in my presentation can be used in any European/American business park marketing efforts. 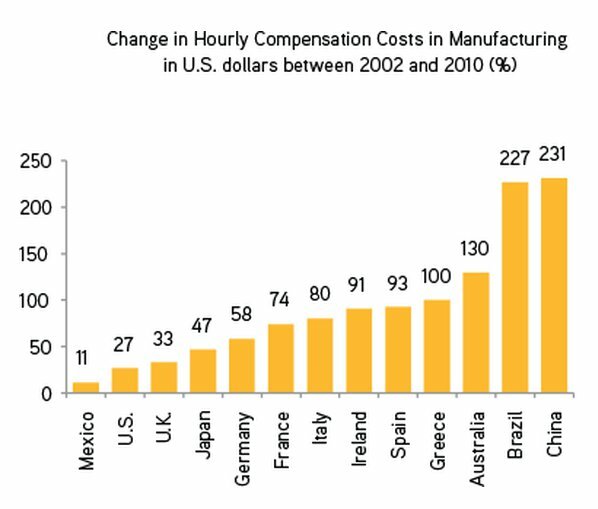 China is a "super low-cost" manufacturing locations (that's the issue). However, wages are increasing in rocket speed, especially in coastal regions, were your competing real estate developers are doing business. This time there are no 'Western-style' governmental pension and health care system in China. But the society is aging, and what do you think, who will pay for these social services? Your prospect, if choose a Shanghai site. In our politically correct world, we don't call China a communist country. But it is. Communism means instabile legal framework and corruption for your prospect. Corruption makes prices and costs non-tranparent, advanced manufacturing don't like it. The speed-to market time and fast product customization will be key success factors in future manufacturing. And no way to manage these efforts from a Chinese manufacturing site (e.g. the shipping time between China and Europe is 6 weeks). So, when your prospect selects your site, he/she votes on a stabile business environment with stabile costs and transparency, and also votes on market flexibility. I don't say these arguments are enough to convince a potential new clients. But could be enough to get some good points for your site and make them unsure about the Chinese option. Are you disagree? I'm listening. How to promote your site with SlideShare? How to launch an investment destination blog?